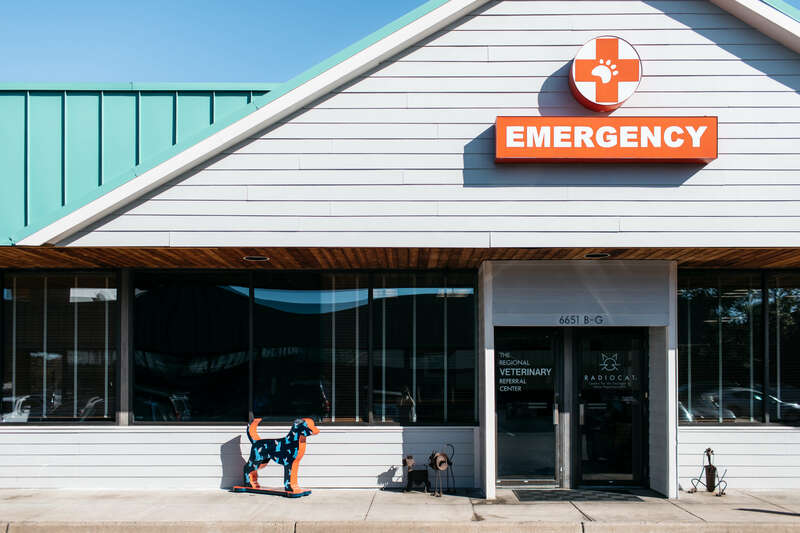 The Emergency and Critical Care Service working closely with your regular veterinarian will make available the highest level of care for patients and their owners. We will provide around-the-clock services every day, so that no matter when a situation arises, quality veterinary care is available. We welcome challenging, complicated cases and have an ongoing commitment to approach diagnostics and treatments aggressively. We will always provide and have access to specialized medical and surgical procedures as well as advanced in-house diagnostics. We will approach all patients with the knowledge that they are cherished family members. We are devoted to providing a caring environment that treats people and animals with dignity, kindness and respect. Dr. Rand S. Wachsstock is a graduate of The University of Illinois. Dr. Wachsstock taught both there and at Yale University. 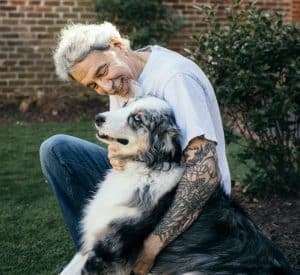 He has actively practiced emergency medicine since 1984 and believes comprehensive state-of-the-art medical care should be readily available to all pets. 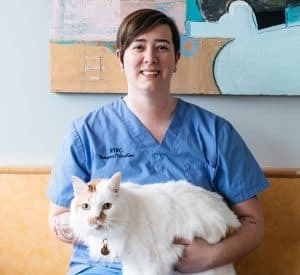 He owns and operates The Emergency/Critical Care Service at The Regional Veterinary Referral Center in Springfield, Virginia. From 2005 – 2010 Dr. Wachsstock was appointed by the Governor of the Commonwealth of Virginia to the Radiation Advisory Board and in 2011 to the Task Force on Lyme Disease. Dr. Wachsstock and Dr. Herring are co-founders of Radiocat, a veterinary practice dedicated exclusively to the care and treatment of feline hyperthyroidism. Dr. Kimberly Bridges is a native of south-east Virginia. She attended Virginia Tech University where she received undergraduate degrees in Animal Science and Biology. She went on to get her doctorate of veterinary medicine at Western University of Health Sciences in California. 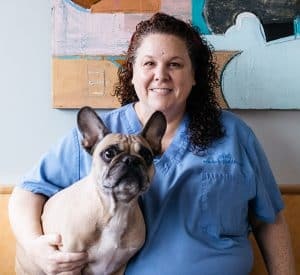 Dr. Bridges then did a rotating internship in small animal medicine and surgery at Oradell Animal Hospital in New Jersey. 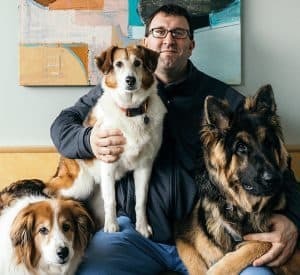 Dr Bridges then went on to complete a residency at the New England Animal Medical Center in Massachusetts in emergency medicine and critical care. She has a special interest in sepsis, coagulopathy, trauma, and transfusion medicine. 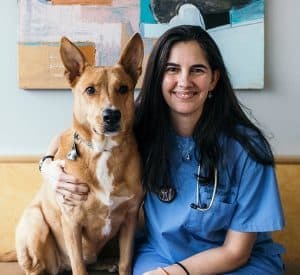 Outside of the hospital, she has a passion for volunteering with the Rural Area Veterinary Services to provide veterinary care to impoverished communities while also serving as a mentor to veterinary students. 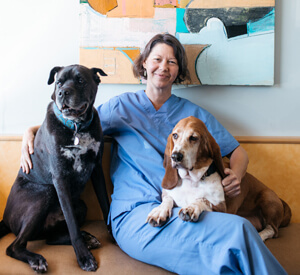 Dr. Bridges enjoys spending her free time with her husband (also an emergency veterinarian) and dog Nala, hiking, fishing, reading, or just relaxing on a beach. Dr. Randall Derbin is originally from northeastern Pennsylvania. He spent his undergraduate days at Penn State University where he received his degree in biochemistry and animal bioscience. 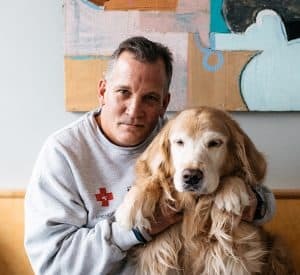 He went to the University Of Pennsylvania School Of Veterinary Medicine where he received his veterinary degree in 2001. The following year, he completed his internship at a local referral practice. He has since been practicing emergency medicine in the area and has been at RVRC for over 10 years. He currently resides in Ashburn with his wife and three dogs, Lilly, Briggs and Pete and three horses, Ellie, Dewey and Skippy. He has a strong interest in managing traumatic, toxicological and surgical emergencies. In his free time, he enjoys golf, scuba diving, watching baseball and working around the house. Dr. Brenna Hosie was born in the suburbs of Chicago but grew up in Augusta Georgia. She attended the University of Georgia where she graduated with a Bachelor of Science in Animal Science. She then went on to complete her Doctorate of Veterinary Medicine at The University of Georgia’s College of Veterinary Medicine (Go Dawgs!). 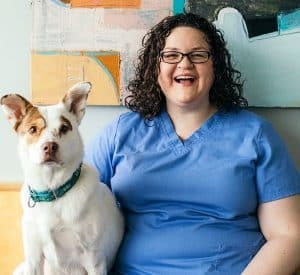 After graduating Dr. Hosie moved to the Washington D.C. area and completed a small animal rotating internship at the Regional Veterinary Referral Center. It was through that program that Dr. Hosie developed a passion for emergency medicine. She has since been working locally in the field of small animal emergency and critical care and is excited for the opportunity to rejoin the RVRC team! 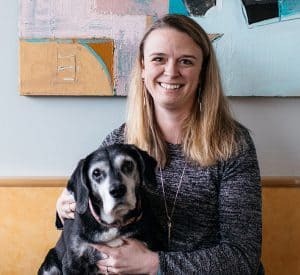 When not working Dr. Hosie enjoys spending time with her husband exploring Northern Virginia, playing with their two cats, and chasing their most recent puppy addition, Tuck! Dr. Montine Mansell grew up in Roswell, Georgia. 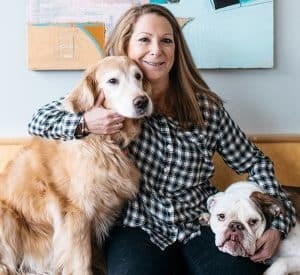 She obtained a Bachelor of Science degree in Zoology followed by her Doctorate of Veterinary Medicine from Auburn University. Since graduating, she completed an Emergency and Critical Care Internship here with us in 2005, and has since worked in both general practice and emergency medicine settings. 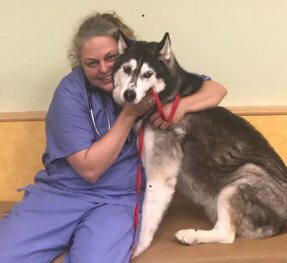 She is a member of several professional organizations: The American Veterinary Medical Associations, The Northern Virginia AVMA, DC Academy of Veterinary Medicine, and The Veterinary Emergency and Critical Care Society. She is also a volunteer with the Arlington Medical Reserve Corps. Outside of work, Dr. Mansell enjoys vegetable gardening, photography, traveling, playing softball and watching the Auburn Tigers. She lives with her husband, daughter and 2 canine kids: Paisley and Wendy. 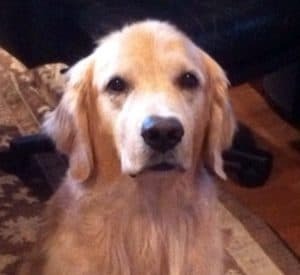 Dr. Mansell also enjoys fostering for Oldies But Goodies Cocker Rescue. Dr. Rachel Kesting was born and raised in Wisconsin. She attended the University of Wisconsin in Madison and graduated with a Bachelor of Science in Biology in 2007. She enjoyed UW-Madison so much that she went on to attend Veterinary School there and subsequently graduated in 2011. 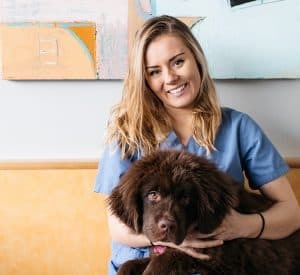 Seeking further education, Dr. Kesting came to the D.C. area and completed a small animal rotating veterinary internship at the Regional Veterinary Referral Center. 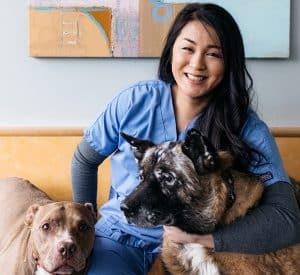 Most recently she had the opportunity to join the staff at the Regional Veterinary Referral Center and to continue practicing high quality emergency medicine. Dr. Kesting shares her apartment with her 13 year old cat named Gadjet and enjoys hiking, bird watching, reading, and exploring the D.C. area when not at RVRC. Few aspects of pet ownership are more terrifying than when an animal is taken ill in the middle of the night or during weekend hours when your veterinarian’s office is closed. Our Emergency Service exists to care for your pet under just these circumstances, and we’re no farther away than your phone, 24 hours a day. 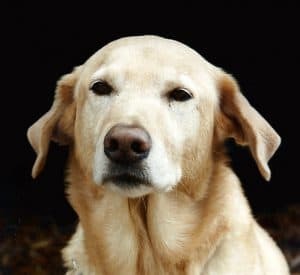 A medical diagnosis takes more than a phone call, but that’s where it usually starts as our well trained and caring staff member answers your questions and directs you on how best to cope with your pet’s problem. We treat a variety of medical and surgical conditions affecting dogs and cats. 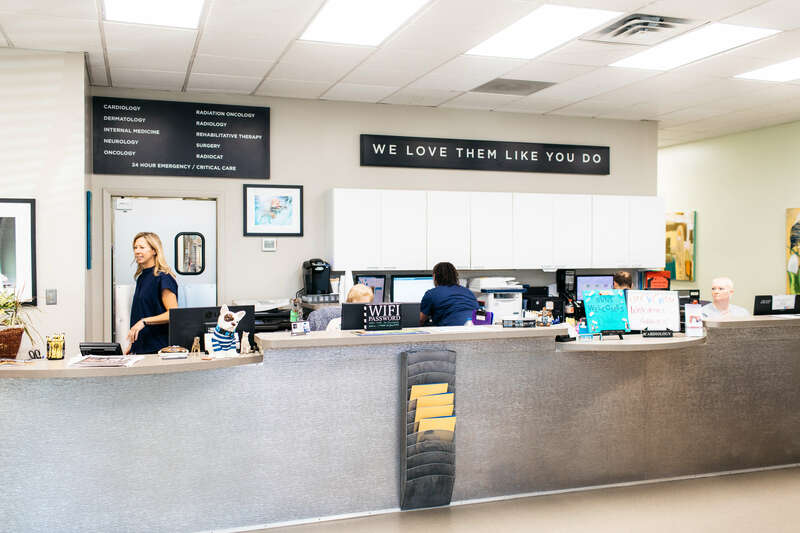 When you arrive, your pet will be examined and assessed by one of our critical care veterinarians who will explain the treatment options available to you. Please remember that cases are seen on the basis of need, with the most severely affected patients being seen first. Veterinary Emergency and Critical Care Medicine is a veterinary specialty that can save a pet’s life. Should your pet become injured, or suddenly develop an acute, life threatening disease, he or she will require prompt, emergency care. In addition to the initial emergency treatment, in some cases many days may be needed for the disease process to run its course before recovery occurs. During this time, close monitoring and advanced life support measures in the critical care unit (CCU) may be needed. Much of what happens in the critical care setting is initially planned for and started in the emergent phase of the disease. 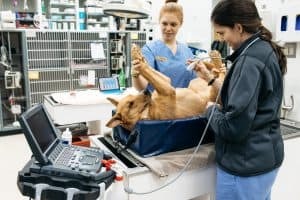 A vigilant team led by a veterinarian who is specially trained in emergency and critical care medicine will improve the quality of care your pet receives during this crucial time, resulting in a greater likelihood that he or she will survive. Critical care clinicians communicate daily with pet owners and involve the referring veterinarian in the ongoing management of their patients. By referring you to us, your regular veterinarian is demonstrating his/her trust in our ability to properly care for your pet. We are fully equipped to handle virtually any circumstance that may arise. Our state-of-the-art equipment and treatment regimens are identical to those found in human hospitals. Our superb in-house laboratory can provide fast, accurate, lifesaving diagnoses enabling us to aggressively and effectively treat your pet. In order to be proactive rather than reactive, we have an extensive monitoring network and outstanding professional and support personnel. 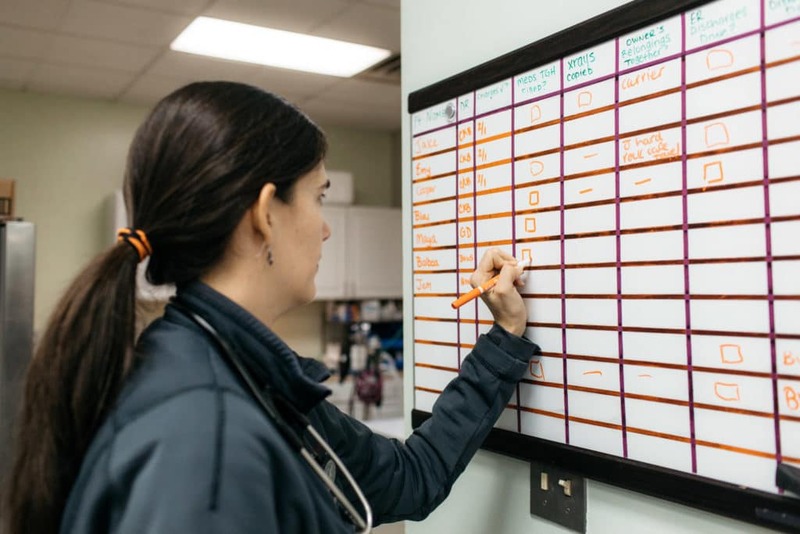 In those circumstances that demand it, the Emergency and Critical Care Service has ready access to the on-site Board Certified Specialists that comprise the Regional Veterinary Referral Center. When seconds count … we are here for you! As you leave the hospital, you will be given a copy of your pet’s record including all X-rays and results of diagnostic tests. 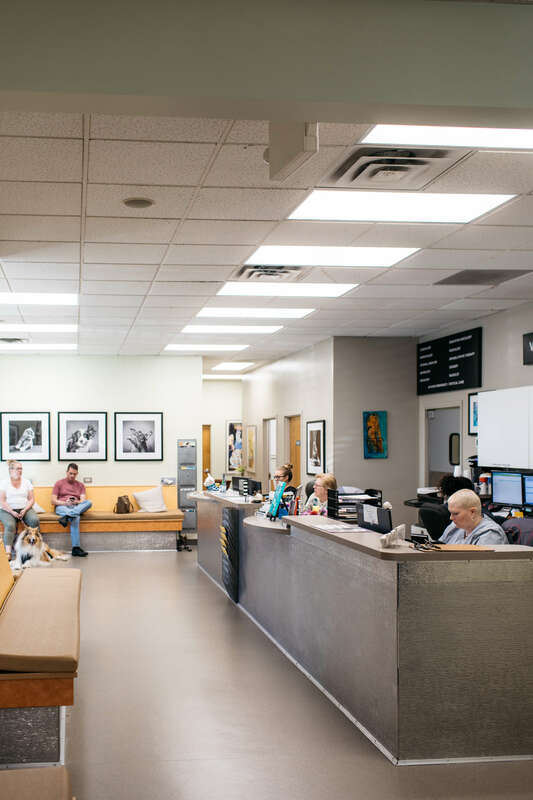 The attending doctor will contact your regular veterinarian upon discharge to notify them of your visit, and we remain available to them even after your pet’s stay with us is completed. We understand that it takes much more than just medical skill to fully care for animals. It takes compassion and dedication – something to remember as you consider the kind of care you want to give your pet. 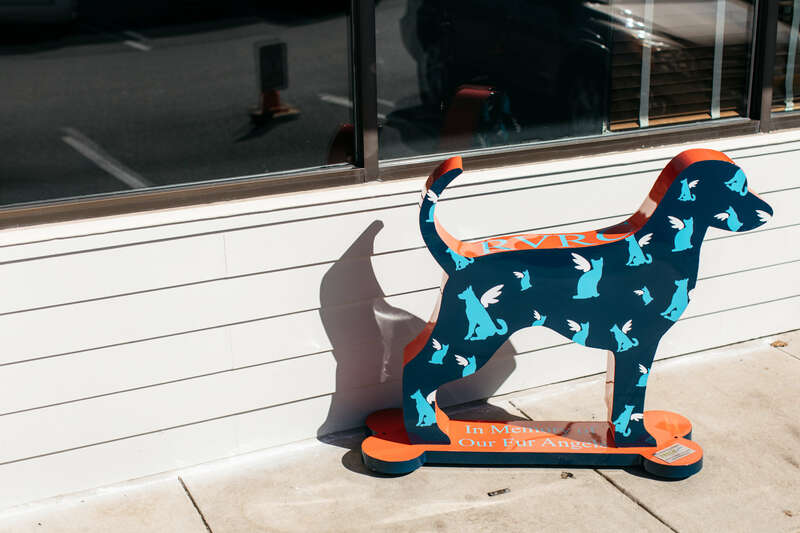 We care about that one special pet – yours! Sue had always known that she wanted to pursue veterinary medicine from a very young age. 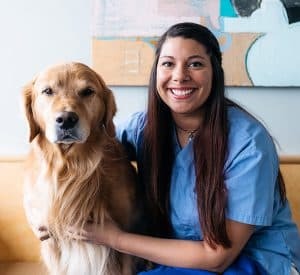 She started volunteering at veterinary hospitals in high school and got her very first job at a veterinary hospital while at in college at Purdue University. After graduating with BS in Animal AgriBusiness, she got a job working full time at her first animal hospital. 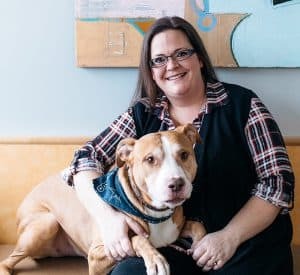 After a while, and needing a change, she decided to try something new and got her first emergency vet tech job at Springfield Emergency Veterinary Hospital in 1994. There she was pushed to learn and do much more than what was expected of her in the past. 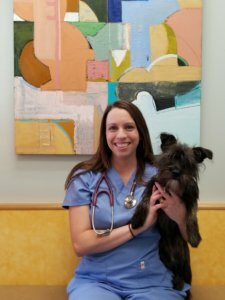 Loving emergency medicine, she decided to take her vet tech boards and then pursued getting a job at Colorado State University to obtain her dream of becoming a specialized vet tech in emergency and critical care. Sue worked at CSU in their well known and respected critical care unit for 7 years and then came back to RVRC to help open a daytime critical care unit here. 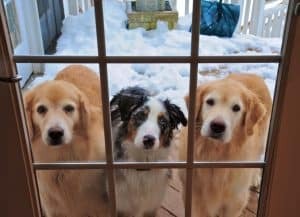 After about 3 years, family called her back to Colorado. This time, she worked at a 24-hour emergency and rehabilitation small animal hospital for 8 years. Eventually though Sue decided to return to RVRC in April 2015 to work in critical care and emergency once again. She is passionate about patient care and being the “voice” for our patients. In her off time (if we can force her to take some) she can be found hiking with her dogs anywhere and everywhere she can. Lynn started her career with a law office in Washington DC in the accounting department. 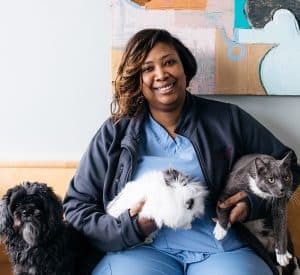 After having her two children she realized DC was too far from home so she landed her first job in the veterinary field working at a referral hospital in Northern Virginia as their office manager. In 2001 she took over as the hospital administrator at RVRC and has never looked back. A great combination of a tough businesswoman with a heart of gold Lynn has always treated RVRC as her second home and as if it was her own. She takes great pride in the physical facility, how people are treated and the care we give to each and every one of our patients. In her spare time she likes to play with her granddaughter and spend time with her son and daughter.